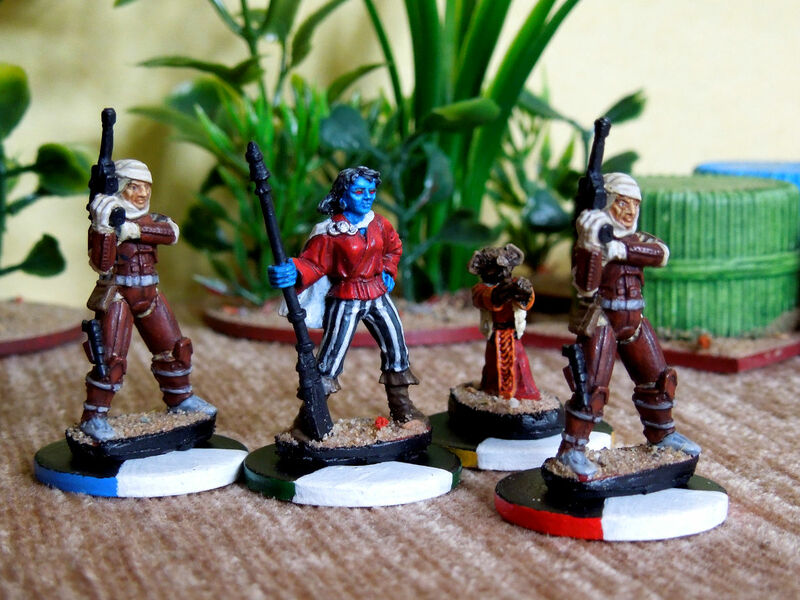 A few more for my Scum & Villainy faction. 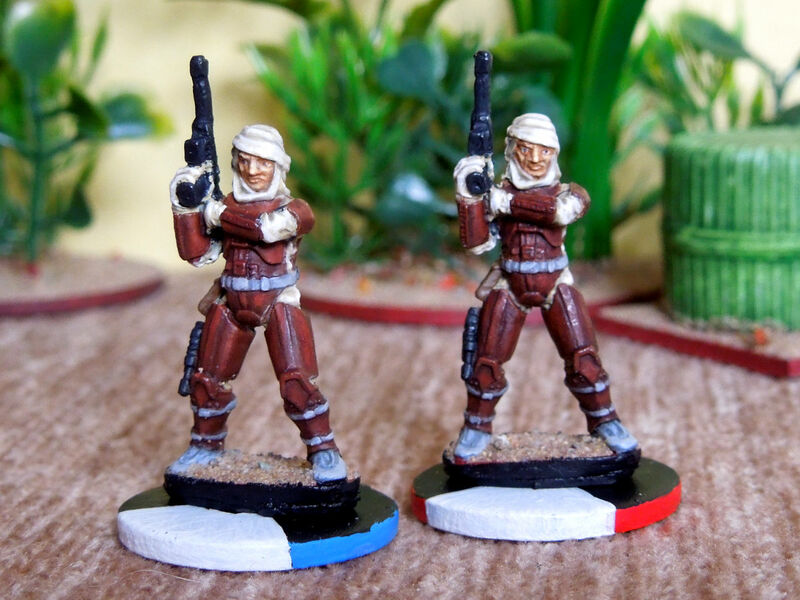 Dengar x2, a Chiss sniper and Kabe, a Chadra-Fan. 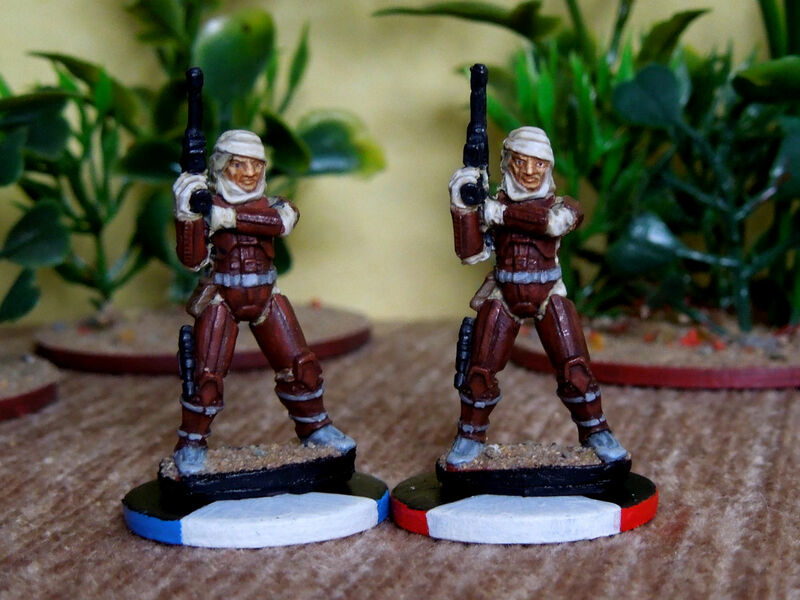 A human bounty hunter originally from the Corellian system and often seen working with Boba Fett and Bossk. 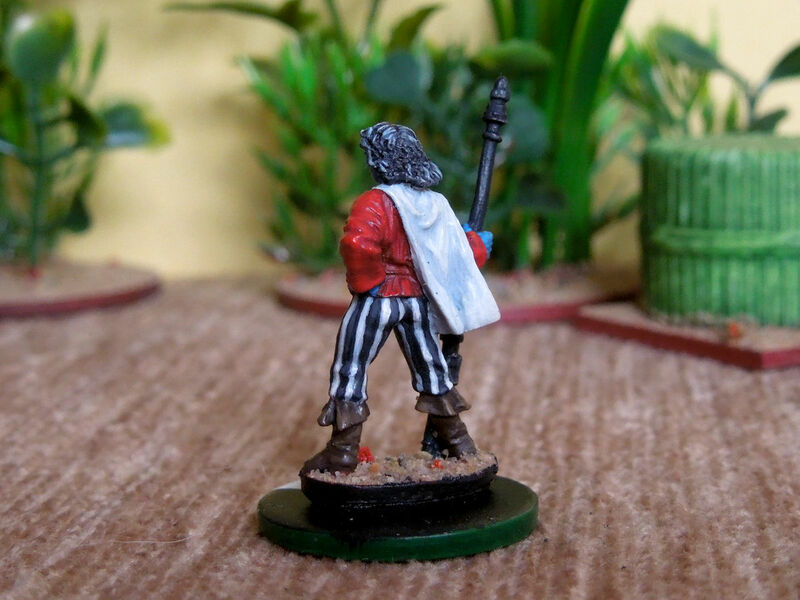 He was one of the hunters to meet Darth Vader on the bridge of the Executer. 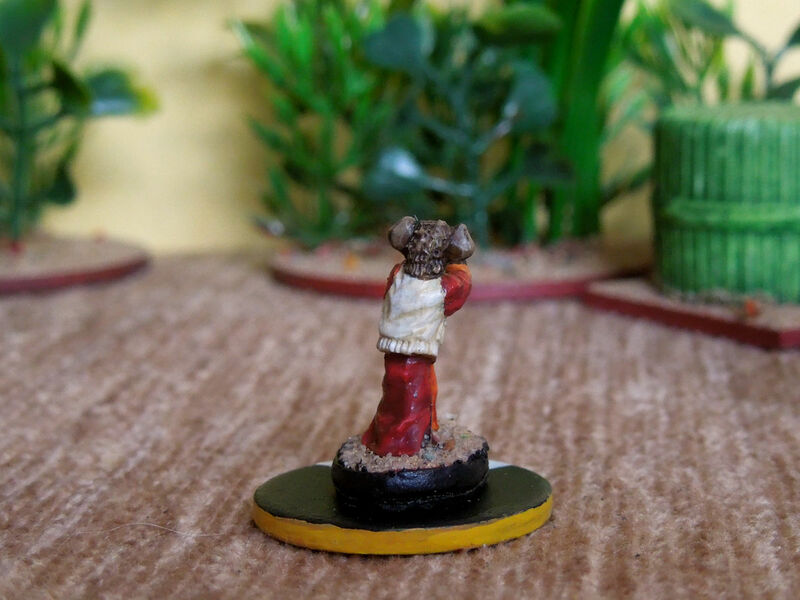 A really crisp mini with lots of fine detail, with having two! 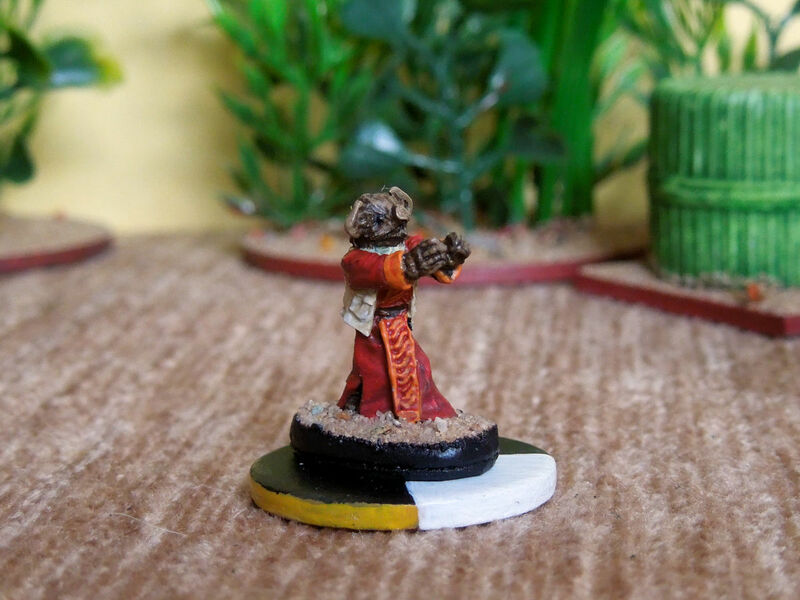 A regular patron of the cantina. 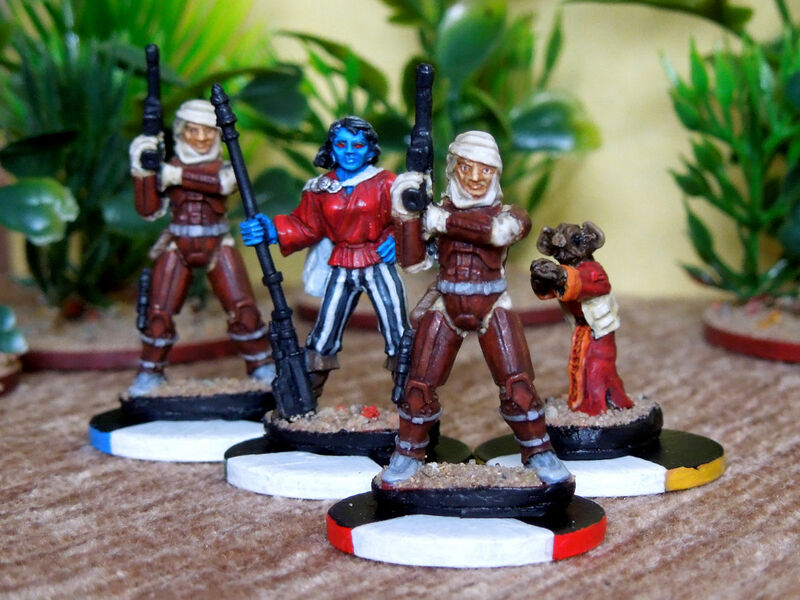 Kabe was a petty thief who along with her companion, Muftak found useful opportunities with the rebellion. 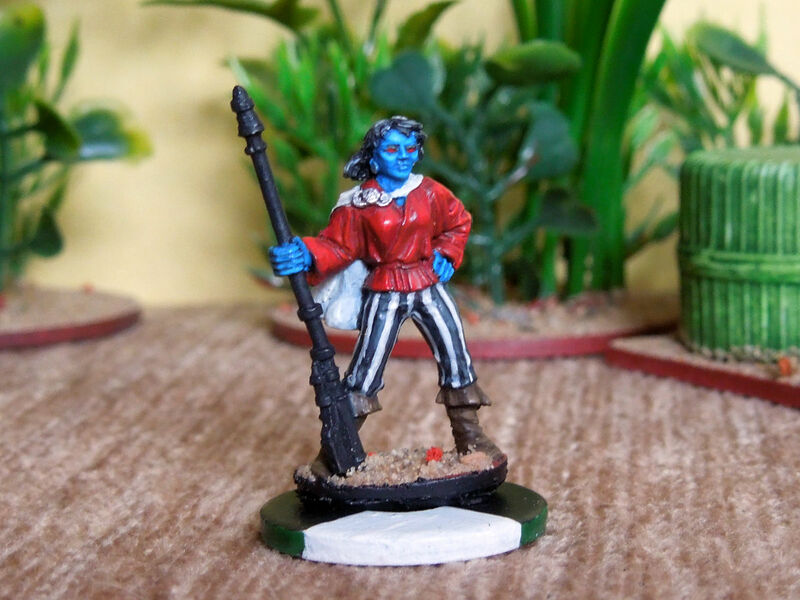 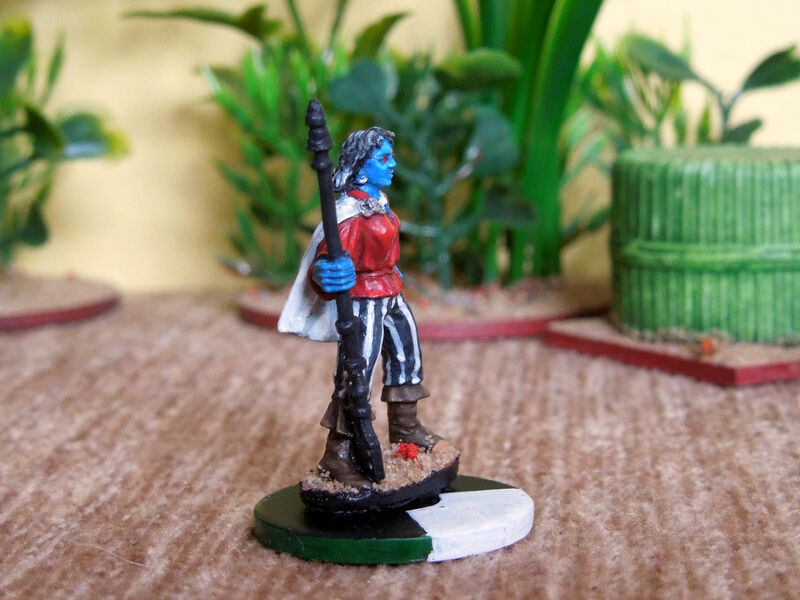 I had a spare Zardra miniature and had a fancy to paint her up as one of the Chiss, the blue skinned race made famous by Adm. Thrawn. 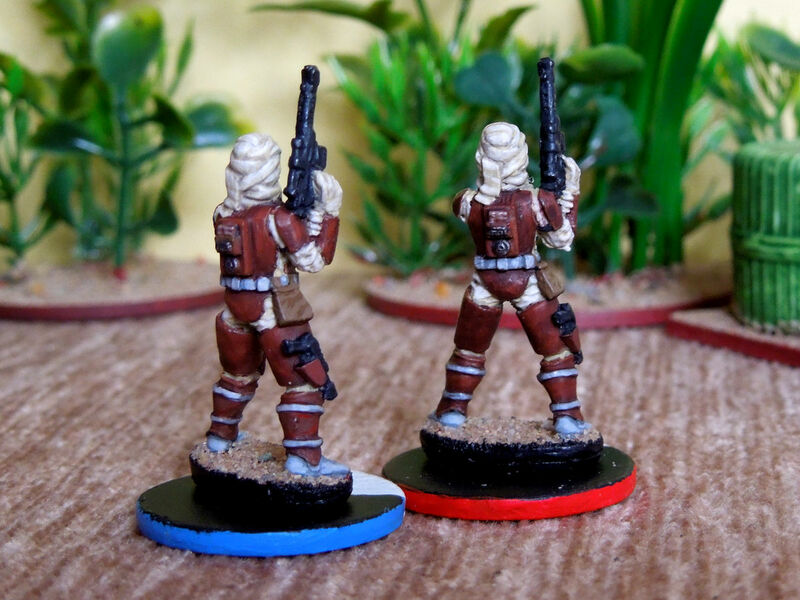 Minis were all sculpted by Bob Charrette and Julie Guthrie.